Business Secretary Vince Cable has announced two new measures that give the green light for autonomous cars to take to UK roads from January 2015. 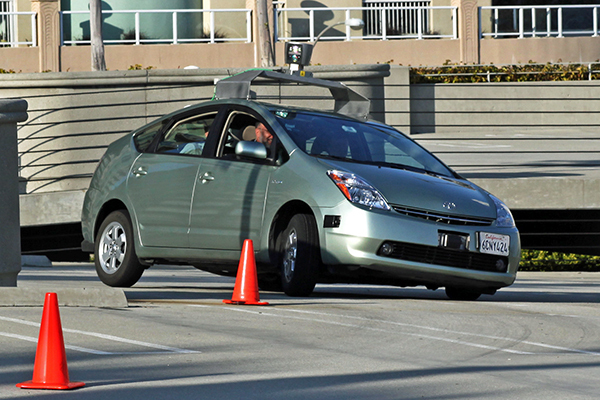 UK cities can now bid for a share of a £10 million competition to host a driverless cars trial. The government is calling on cities to join together with businesses and research organisations to put forward proposals to become a test location. Up to 3 cities will be selected to host the trials from next year (2015) – and each project is expected to last between 18 and 36 months and start in January 2015. "The excellence of our scientists and engineers has established the UK as a pioneer in the development of driverless vehicles through pilot projects. Today’s announcement will see driverless cars take to our streets in less than 6 months, putting us at the forefront of this transformational technology and opening up new opportunities for our economy and society." "Through the government’s industrial strategy we are backing the automotive sector as it goes from strength to strength. We are providing the right environment to give businesses the confidence to invest and create high skilled jobs." "Driverless cars have huge potential to transform the UK’s transport network – they could improve safety, reduce congestion and lower emissions, particularly CO2. We are determined to ensure driverless cars can fulfil this potential which is why we are actively reviewing regulatory obstacles to create the right framework for trialling these vehicles on British roads." "Britain is brilliantly placed to lead the world in driverless technology. It combines our strengths in cars, satellites, big data and urban design; with huge potential benefits for future jobs and for the consumer." "This competition for funding has the potential to establish the UK as the global hub for the development and testing of driverless vehicles in real-world urban environments, helping to deepen our understanding of the impact on road users and wider society." "The ability to test driverless cars at scale, when married to the UK’s unique strengths in transport technologies and urban planning, will also attract further investment, helping to establish new design and manufacturing supply chains, driving forward UK economic growth." "We welcome the announcement made by the Rt Hon Dr Vince Cable today at our site in encouraging further advancements and UK engineering excellence. Our 10 years of experience developing driverless car solutions with successful applications in defence and security as well as cooperative systems in road transport applications means we are already working on a number of projects that explore the potential of connected and cooperative driverless cars."